Students at Cullowhee Valley School in Jackson County, NC, got a lesson in how apples grow when they visited their school cafeteria this fall. 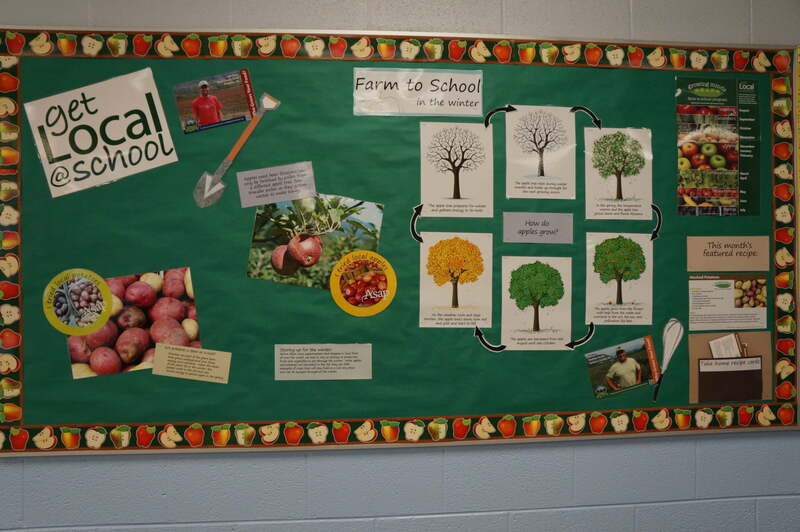 Utilizing materials from our Get Local @ School campaign, bulletin boards are an easy way to share information about local agriculture with every student. Want to create a Farm to School bulletin board in your school? Rotate the images seasonally to connect with the monthly Get Local fruit or vegetable and with what is being served in the cafeteria. Make sure to include photos of farmers from your community, local chefs who cook up seasonal produce, and students from your school sampling the tasty treats!